Do Product Descriptions Actually Matter? Do Product Descriptions Really Matter? Most retailers, or at least the good ones, rush to hack out the endless product descriptions that accompany each and every one of their products listed. 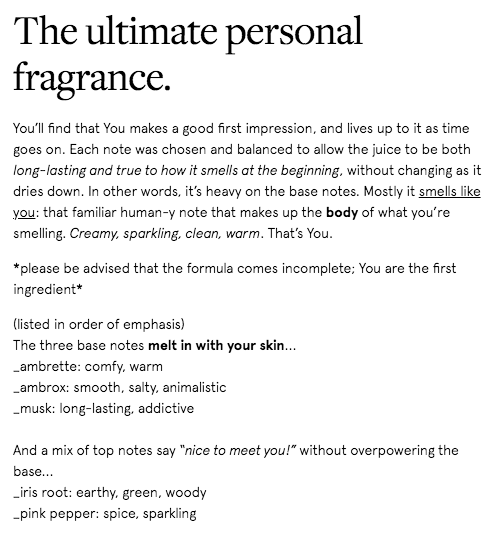 The features of the product must be described; they say, and some go the extra mile, to infuse their product description with brand personality by writing a witty copy. Unless it’s a large marketplace like Amazon, where it is difficult to curate every sellers’ listing, we seldom see brands listing products online without any description. Thus, I wonder, has anyone ever stopped to think if product descriptions directly affects sales, and if so, what’s the impact? In other words, do product descriptions really matter? As the name suggests, a product description is an explanation of what a product is, and its specifications (such as material, color and length). Its purpose is to market the product to the customer, and is usually what the customer reads right after clicking on the product image. In the fashion retail context, a customer sifts through the product description for information that confirms what they are seeing in the product image; and to find out more (such as the height of a heel). These technical features are incredibly important – they help reduce disparity between a product image and the actual product, which in turn, reduces the number of returns. Knowing what information the customer is looking for, goes a long way in ultimately converting more customers. From left: You Perfume from Glossier, Do Anything perfume from American Eagle Outfitters. With all that said, has there been any real impact on sales? According to the 2015/2016 Shotfarm Product Information Report, the distribution of consistent and engaging information about a product has shown to decrease the number of returns and increase sales, while bolstering brand equity. On the other hand, inconsistent product information can damage brand reputation and result in an increase of potential buyers abandoning the site. Excellent product page copy can enhance search engine optimization (SEO) of the brand website, while copied descriptions from other websites will ensure that your website never sees the light of the day by Google’s search algorithms. If product descriptions are so important, then why isn’t everyone doing a good job? A unique, and detailed narration of product attributes requires hiring the right copywriter, time and effort. 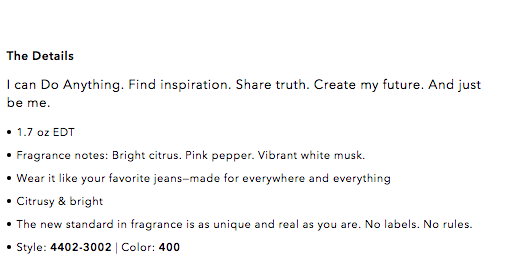 This is when automated product descriptions come into play. Find yourself in a situation where you have tons of products ready to be sold online, but without sufficient information from manufacturers? StyleSage’s E-commerce Smart Tagging API automatically enriches product descriptions with searchable attributes. Worried that our bots wouldn’t match with your brand voice? We standardize all these attributes to your master taxonomy; in other words, it sounds like your team is writing the product page copy. With our E-commerce Smart Tagging solution, you can eliminate weeks taken for manual reviews of all product listings, and translate the time saved into other money-making functions. So there you’ve got it – product descriptions really do matter, and to neglect them is to leave your money on the table. The only way forward, really, is to arm yourself with a good copywriting team, or with StyleSage’s E-commerce Smart Tagging API.